Quizmaster has also held private functions for much smaller groups such as birthday parties, fundraisers and even wedding rehearsal dinners and receptions! 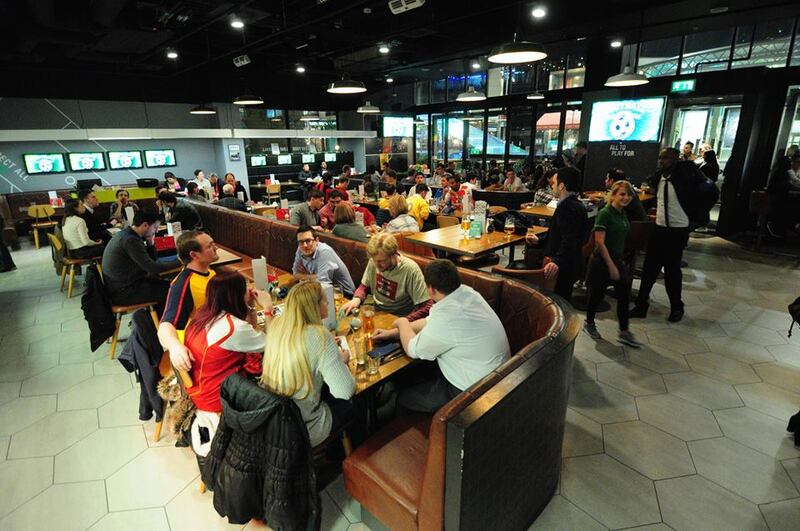 Quizmaster can hold private functions at one of our existing locations or a venue of choice by the client. Since we've been quizzing the masses since 2013, you can trust us to put on a stellar show, with fun questions, while throwing in some humorous (and safe for work) jokes. We can also tailor our private events to our client's needs, so if you have some specific rounds or question topics you'd like, we're all ears! We can host events at short notice, but usually like at least two weeks to put it all together. For more details on hiring Quizmaster for a private event, please contact us and we can iron out the details. Wow! This place looks so amazing for corporate events Chicago. I keep wondering that how I can make my office events a little more interesting so that more and more people become a part of it. I think this the answer. Good ambience and good food attract people.